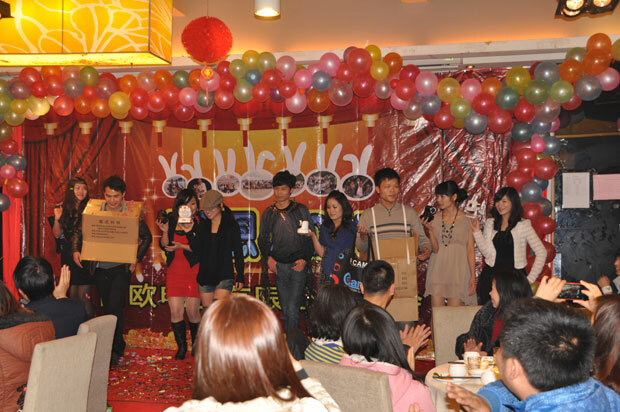 Slogan: Clio Thanksgiving, a sense of En Liou, product class, dominate Wuzhou! 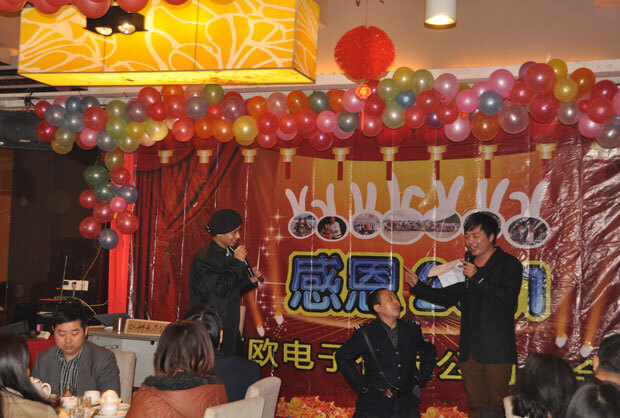 Clio Electronics Co., Ltd. of Shenzhen City "Thanksgiving 2011 Annual Meeting " on January 5 in Baoan District of Shenzhen Furong restaurant held a grand. 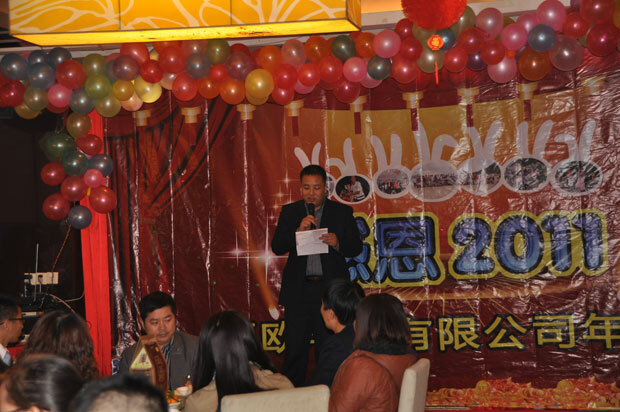 Cordially invited to the annual meeting various suppliers and customers , gathered together , attended the annual meeting . Wang was presided over by Clio , annual meetings at the scene of passion, warm and lively atmosphere held . 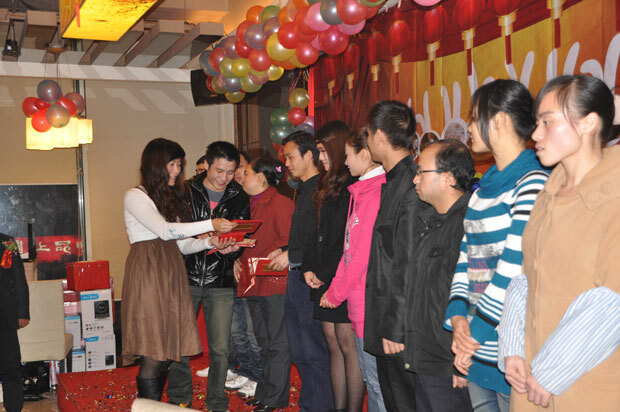 Thanksgiving annual process is divided into four waves , the audience is there to attract the eye of a variety of digital and electrical products sweepstakes. First speech by the tread , tread simple review of the 2011 Clio performance in the past year , the international financial crisis spread , raw material prices , shortage of human resources ....... external situation is very bad year Company contrarian, bold upgrade products, relying on first-class product quality and perfect after-sales service won the trust of customers , to achieve a product of science and technology , the successful transformation of humanity ! 2012 new year, is the companys most critical year for the development of the road , is the companys foreign trade , the quality , the business aspects of the company will fully expand the international market, relying on the technical content of the IP CAM to fight for more market share , production company further in the management of strict requirements, in terms of cost and material control on prudent and realistic , technically mastered the core , first-class technology , first-class quality products our customers create more value ! Opportunities and challenges, and dreams of glory coexistence of all my colleagues in the company continues to struggle , the fight to establish a more competitive development of the industry chain, the company will usher in a more brilliant tomorrow ! After his speech, presented the production department of the dynamic dance .... "kiss LOVE"
In the past year, the Clio is not only ushered in the amount of sales performance leap, professional team is gradually forming. It is all my colleagues in the 2011 Clio the hard work and dedication, contributed to what happened Clio gratifying change. In this annual meeting, the scene for 2011 in partnership with the outstanding performance of 10 awarded Outstanding Staff Award. Companies of all partners are also excellent for those employees holding the awards presented a most sincere congratulations and most enthusiastic applause. Thanksgiving Fourth Wave: special planning ---- you never lonely, Clio with you heart to heart! 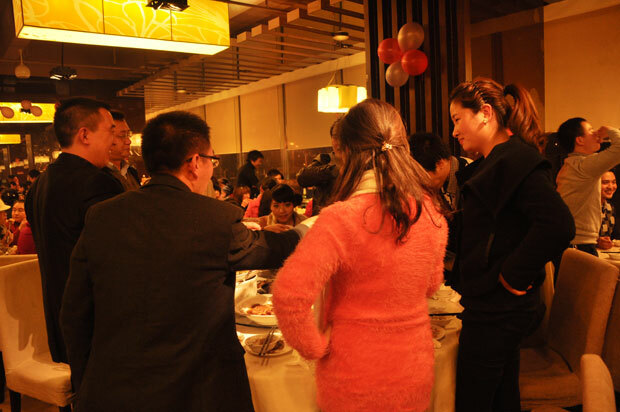 Enjoy the end of four programs, formal dinner started, all the partners began to enjoy a hearty meal for the new year toast. 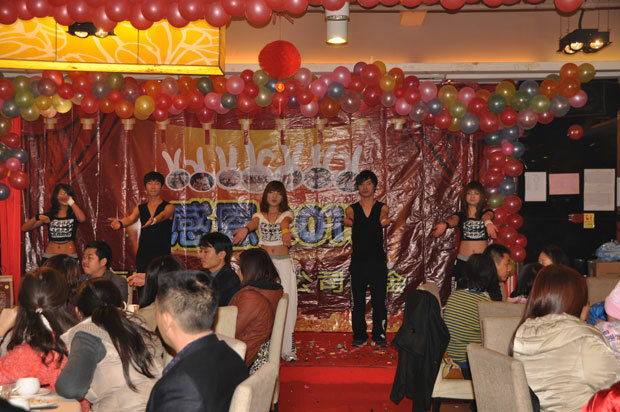 Dine in, but also to eat and listen to the song, the entire annual meeting, we put them carefully, showing a grand feast of entertainment. Self-confidence, personality, humor, wonderful performances, and even comparable with professional performers. Partners performing programs not only demonstrates Clio colleagues innovation, wisdom, charisma, but also to bring laughter, meanwhile, so that colleagues closer to each others heart. 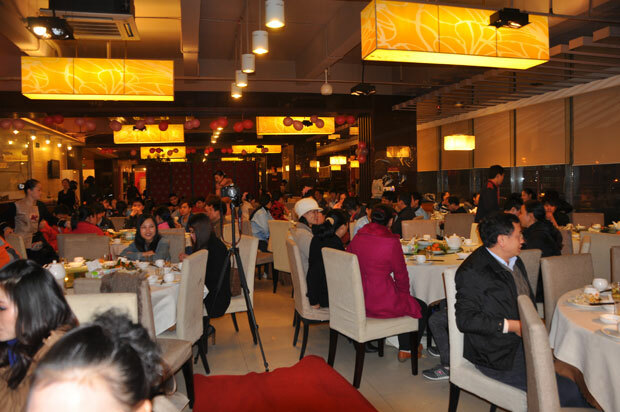 Entire annual meeting in harmony, warm, convivial atmosphere of a successful conclusion. 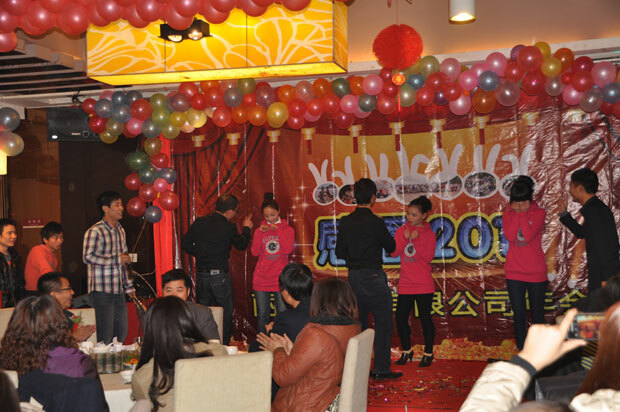 Finally once again shouted slogans Clio: Clio Thanksgiving, a sense of En Liou, product class, dominate Wuzhou! Mao rabbit loaded with fruits shouts away in 2011, Chen Longs message of hope filled with 2012 Tage from. 2011, we smile too, too hard, to lose too, have been harvested, but the Clio is still stepping forward. Standing 2012 new junction, we use what kind of mood to face? Looking forward to 2012, let us with faith and courage, swagger, to co-write a more brilliant future!